Trialma hair removal equipment with advanced 808nm diode laser technic makes treatment more effective and comfortable. It’s suit for no matter beauty salon or health center, no matter at home or on travel, no matter ladies or gentlemen. We service for your beauty. 1. Big spot size: 10*10mm, 5 grades power output adjusted for customer comfortable. Instant result, faster than any other brands. 2. Widely usage: machine can be used in all body areas: arm, back, Bikini and even lip etc. 3. Humanity design: hand held, easy operate. 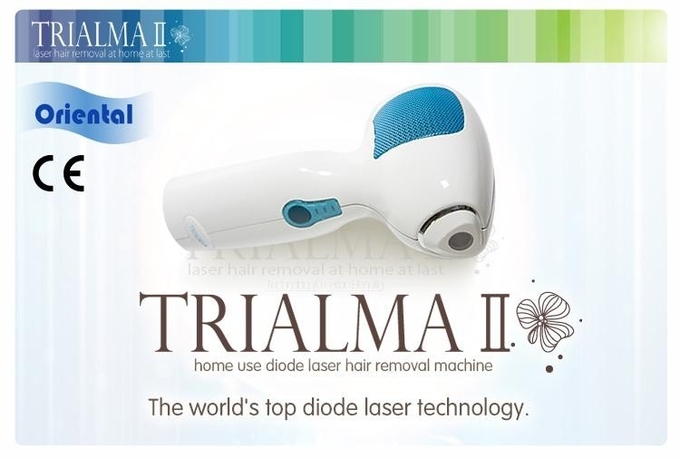 Safe, permanent and painless hair removal at home, which help you get white and tender skin and more self-confident. 4. Continuous power supply: no need to wait for long time battery charge, which greatly increase customer treatment efficiency and profit for beauty salon or health center. 5. Supper working life: 5,000,000 shots above. No need to change diode laser, and half price of same kind of machine. Reduce cost in maximum. 1. Why we choose you? And we are better than others. --The bar is imported from German. We can assure you our machine is with best quality. Why you choose 808nm diode? --Because 808nm diode is the safest. Is there anything we should pay attention to? 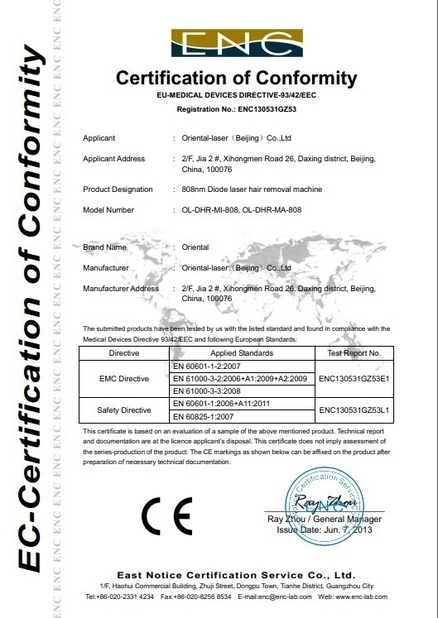 --Oriental-laser (Beijing) Co., Ltd is major in diode laser mounting for industry and medical application. 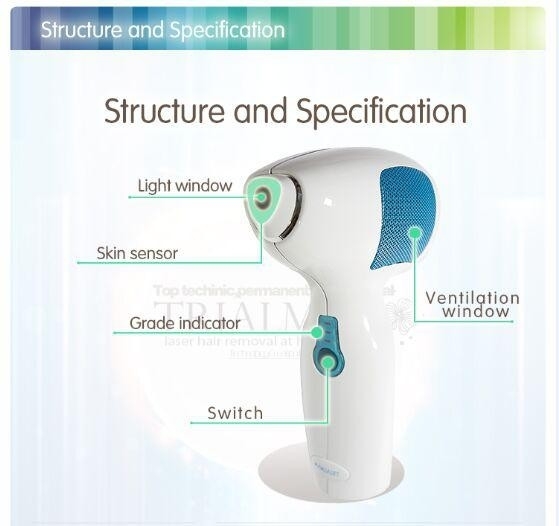 We started to develop 808nm diode laser hair removal system project at 2009. 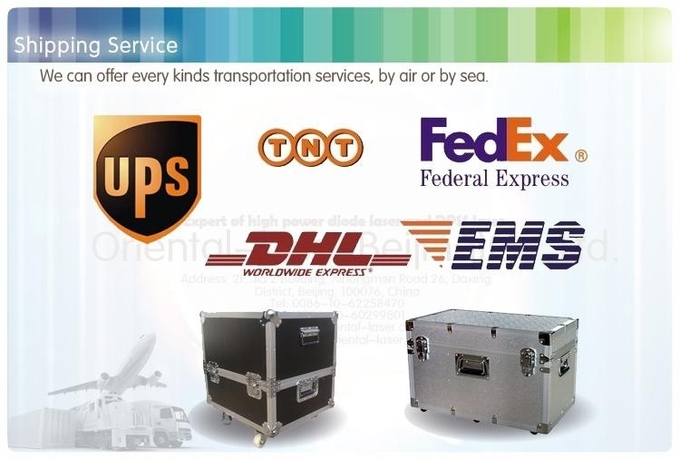 Now we can provide all kinds of 810nm diode laser hair removal system parts, OEM pack and OEM whole system. 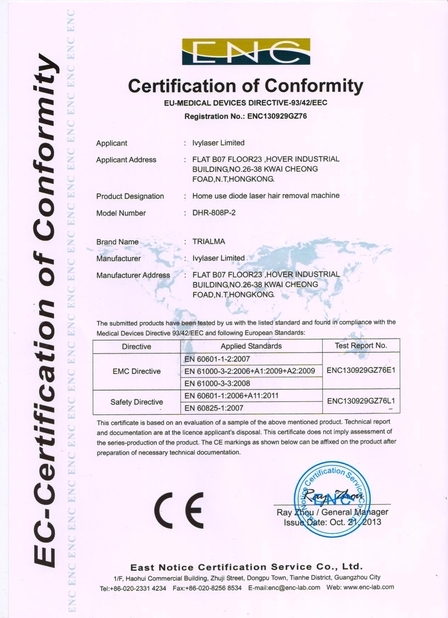 Oriental-laser (Beijing) Co., Ltd has a facility of 5,000 square feet of class 10K clean room & class 100 local clean zone (according to Federal Standards 209E). We focus on diode laser mounting 15 years. Our aim is to offer diode laser to customer with competitive price, good performance and high reliability. Oriental-laser (Beijing) Co., Ltd, which is specializing in manufacturing and selling Diode laser hair removal machine and skin rejuvenation for years. Diode laser, DPSS laser module, diode laser marker are also provided. And we have a business relationship with Alma laser, Lumenis and Syneron etc. by repairing their laser handle pieces. Want to know more? Please Contact us!